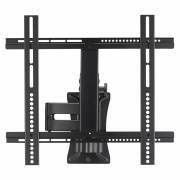 Sanus AMF112B1 Accents Full-Motion Wall Mount for 26"-47"
SKU: AMF112B1 Category: TV Wall Mounts for 13" - 42"
Sanus AMF112B1 is a versatile full-motion wall mount solution for most 26″ – 47″ flat-panel TVs up to 60 lbs. Its full-motion movement allows smooth tilt, swivel and extend motions up to 12″ from the wall without the use of tools, making it great for corner placement. An innovative in-arm channel conceals and routes cables the length of the mount for a clean appearance. 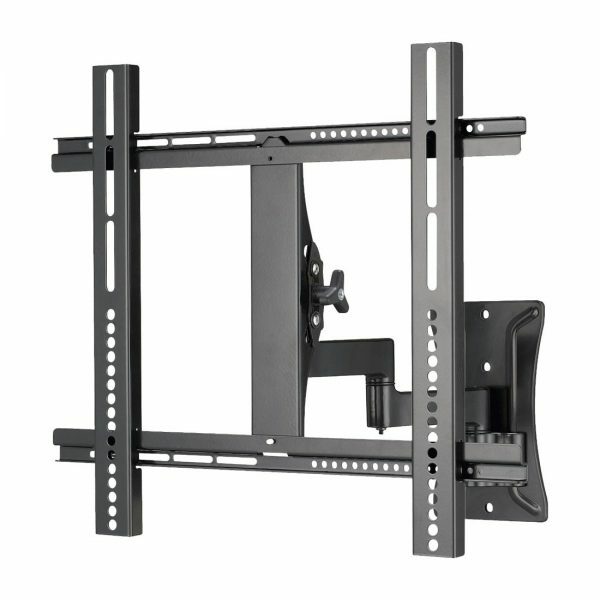 Post-installation level adjustments allow mount to rotate ±6º to ensure the TV is perfectly aligned with its surroundings. Get optimal picture quality no matter where you’re watching your TV. 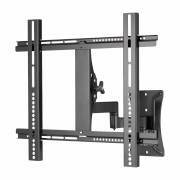 A full-motion mount lets you extend, tilt and swivel your TV in all directions, so it’s easy to find the perfect viewing angle from any seat. Reposition as often as desired with smooth, effortless motion. Recommended when flexibility in viewing angles and positions is desired.